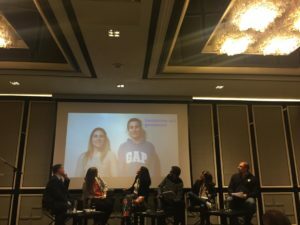 EU Athletes took part in the 2019, EU Sport Forum on 8-9th of April in Bucharest, Romania. 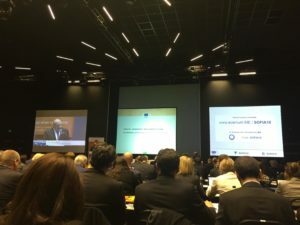 The EU Sport Forum provided the platform for structured dialogue between the European Commission and various sport stakeholders from across Europe. 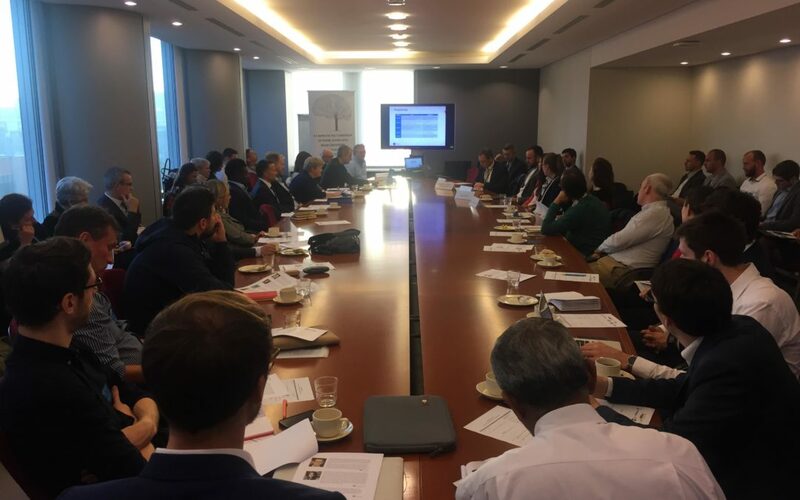 The Forum’s main objective was to take stoke of progress achieved in implementing the EU agenda for sport and to seek stakeholder’s views on current and planned/possible future activities. 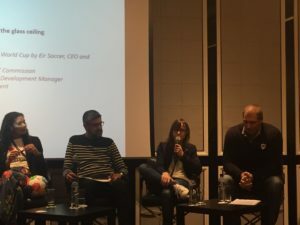 The Forum supplied interesting panel discussions with various stakeholders from across the sporting community who offered their expertise on current topics surrounding sport in Europe. 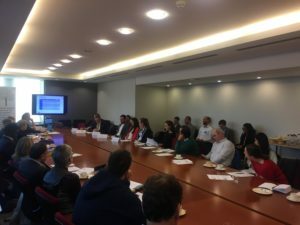 There were particularly interesting topics for EU Athletes and its members on doping in sport, the rights of athletes, the role of federations in promotion of European sport, and justice in sport amongst various other topics. For the first time at the EU Sport Forum the topic of athletes’ rights was granted a panel session, ‘Are the rights and interests of athletes sufficiently taken into account by sport governing bodies?’. 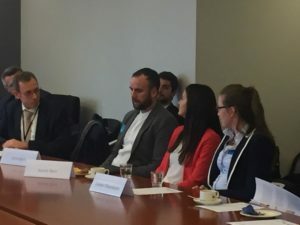 This Panel, which EU Athletes own Paulina Tomczyk had the opportunity to be a part of, along with other player associations FIFPro Europe (represented by Jonas Baer-Hoffmann, Secretary General) and the NHLPA (represented by Sandra Monteiro, Chief of Global Business Strategies) provided interesting dialogue and discussion into the rights and protection of athletes. Some of the topics discussed during this session covered the labour rights of athletes, social dialogue and athlete representation as a whole. 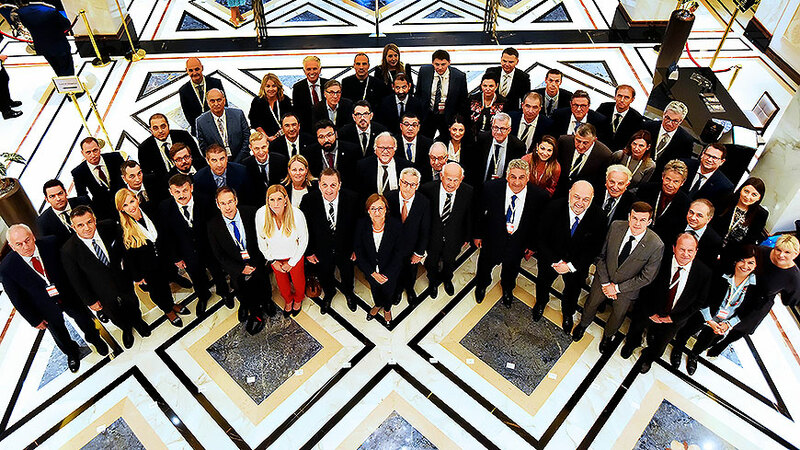 The 15th Council of Europe Conference of Ministers responsible for Sport took place on the 16th of October 2018 in Tbilisi, Georgia. The event was an opportunity to focus on main areas of interest of the Council of Europe, human rights and fight against corruption, in the framework of the activities of the Enlarged Partial Agreement on Sport. The Ministers, officials and sport stakeholders were discussing which steps should be taken by public authorities to address human rights’ violations and what are the obstacles to a more effective fight against corruption in sport. 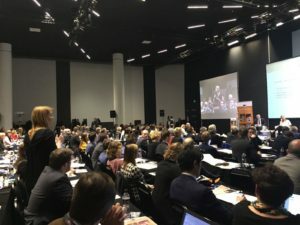 Following the Conference, two resolutions were adopted: “Protecting Human Rights in Sport: Obligations and Shared Responsibilities” and “Fighting Corruption in Sport: Scaling Up Action”, sending a positive signal confirming that public authorities recognize their role in assuring good governance and protection of human rights in the sport sector. Voice of organized athletes was represented by EU Athletes General Secretary Paulina Tomczyk, who has underlined the need for involvement of independent athlete organizations in delivering good governance in sport and essential place of public authorities in making sure that internationally recognized human rights are protected and respected within sport context. The focus on human rights comes timely with the recent adoption of IOC Declaration of Athlete Rights and Responsibilities, which was criticized by athlete associations as well as some national athlete bodies and NGOs. The Conference was followed by a Joint Meeting of Council of Europe’s Parliamentary Assembly Sub-Committee on Education and Sub-Committee on Children, which focused on protection of children in sport and main topics of the Ministerial Conference, human rights and fight against corruption. 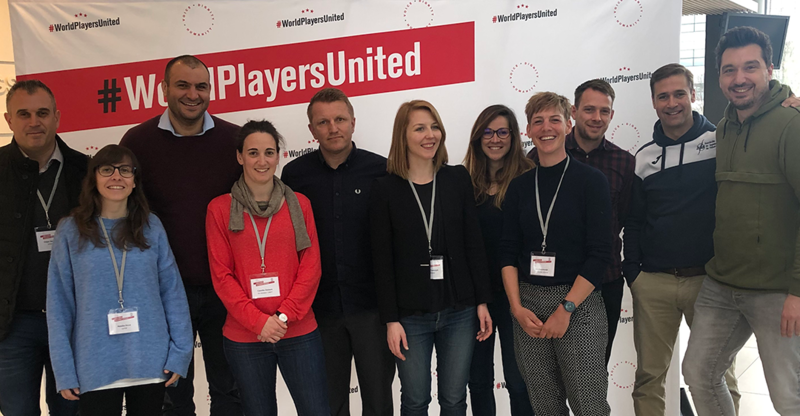 Paulina Tomczyk has taken part in a panel discussion, pointing out the issues that athletes face within sporting context and the need to ensure that abuses of human rights of players, as people and workers, are properly addressed by public authorities and sport organizations. 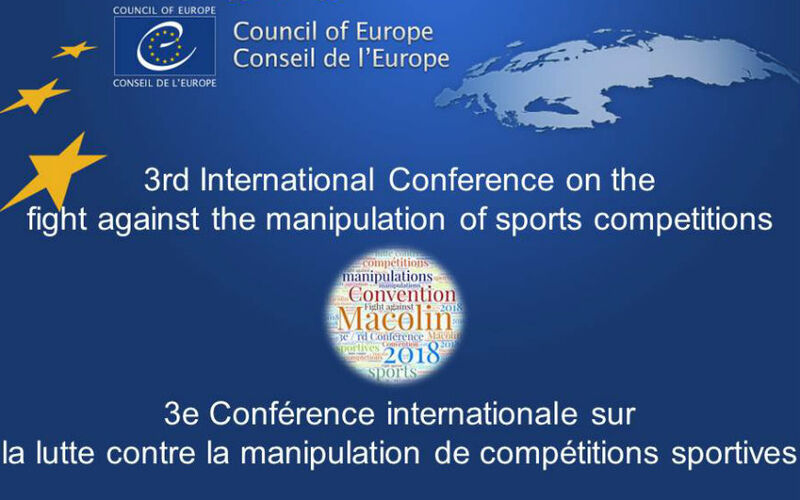 On 24-25th of September 2018, EU Athletes has taken part in the 3rd Macolin Conference organized by the Council of Europe in Strasbourg. The event brought together over 160 participants from 37 countries and 23 international stakeholders. During the conference, concrete priorities were identified, which will fuel the collective effort to be organised within the next phase of the “Macolin Roadmap”. 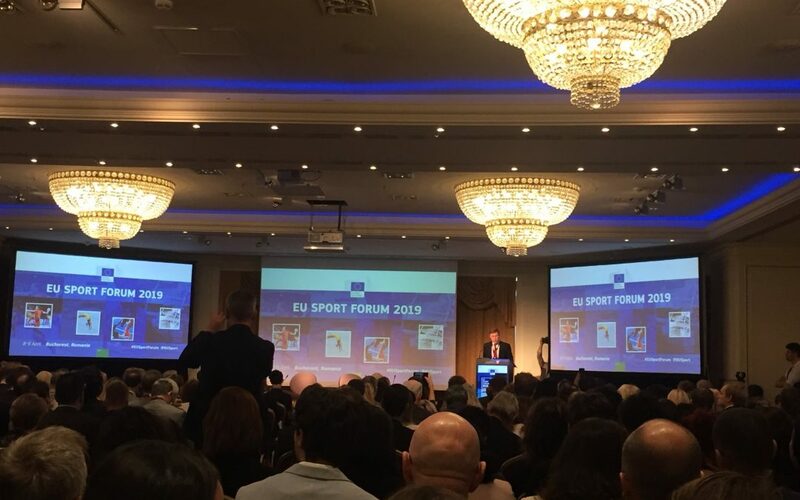 Hosted by Tibor Navracsics, the Commissioner responsible for Education, Culture, Youth and Sport, the 2018 EU Sport Forum has taken place in Sofia on 22nd and 23rd March.The EU Sport forum is the most important event in the European sport sector and an opportunity for EU institutions and Member States to engage in dialogue with the sport movement. EU Athletes was present during the Forum, representing the voice of organized European athletes and participating in interesting discussions on the topics such as role of sport in international relations, sustainability of the Olympic Games, impact of the recent decision in the ISU case on the sport movement and implementation of EU Workplan for Sport. 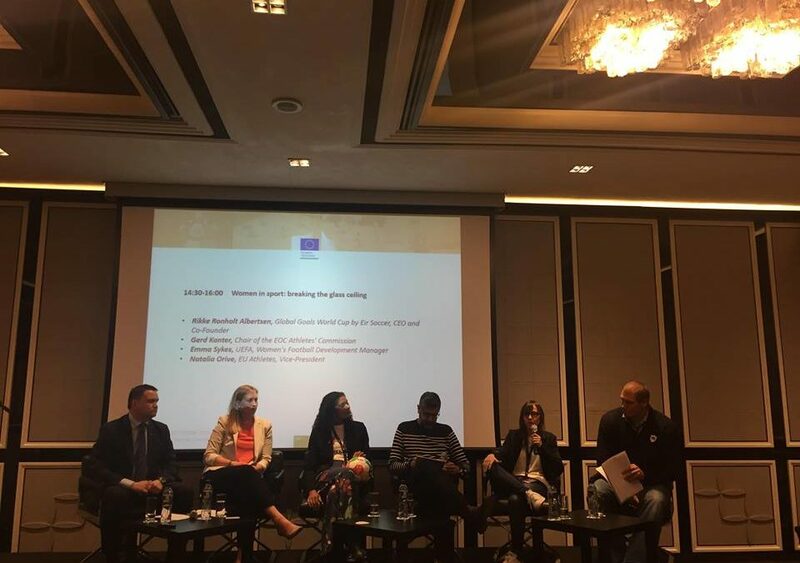 Natalia Orive, the Vice-President of EU Athletes participated in the discussion panel “Women in sport: breaking the glass ceiling” and talked about the results of the SWAFE project and the role of player unions in advancing gender equality in sport.